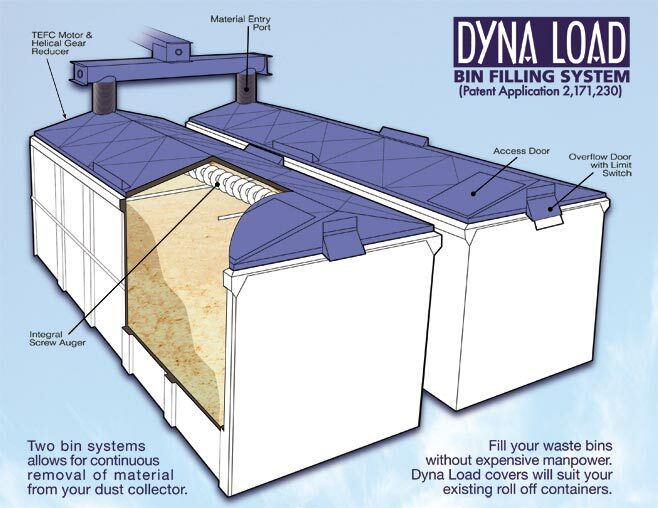 DYNALOAD Covers stay on your bins during transport, eliminating the need for tarps. 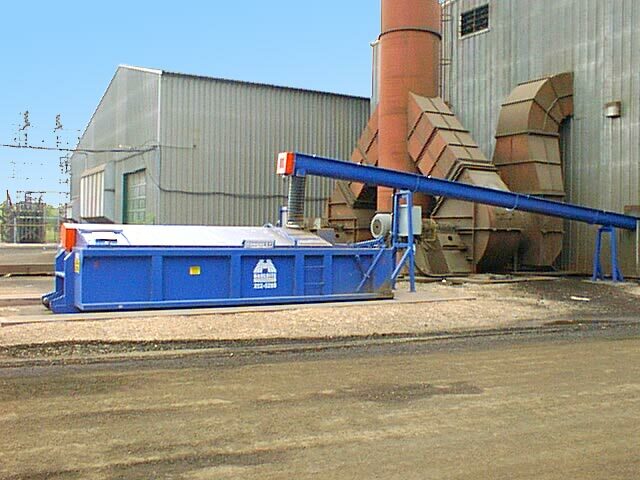 Combined Dyna-Loads keep production at maximum for this kitchen cabinet manufacturer. 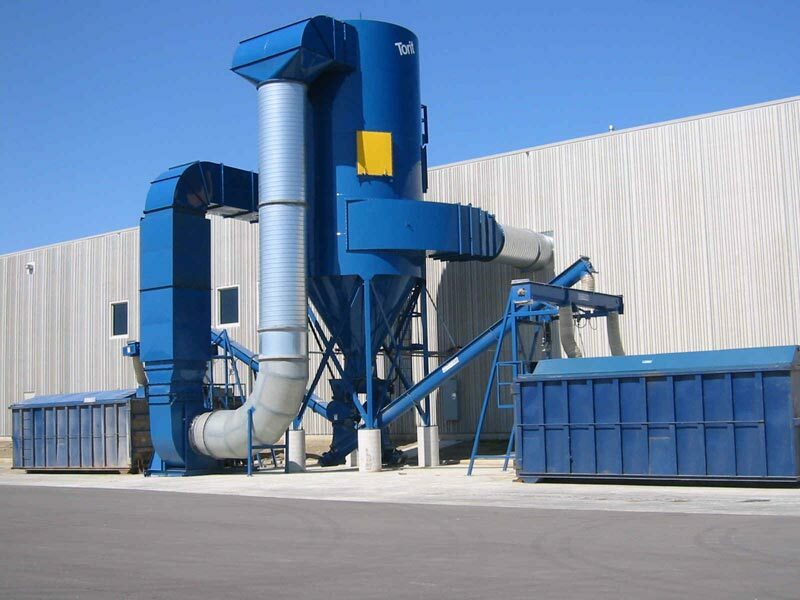 Twin Dyna-Load Systems make easy work of unloading this baghouse collector, and fill these containers to maximum capacity. 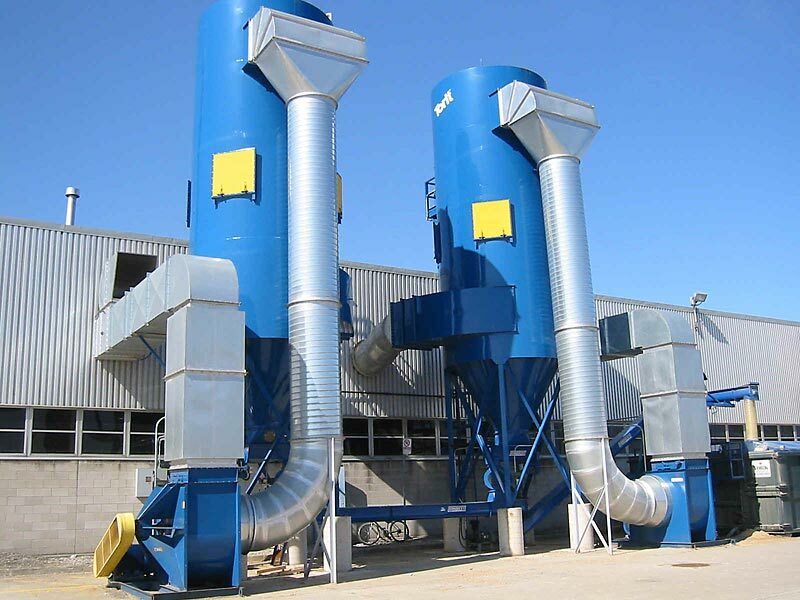 Modified Dyna Load System for furnace dust waste removal on a steel mill dust collection system.